Registration certificate №RZN 2013/141 from 26.02.2013yr. Mattress is used in polytrauma for the immobilization of the spine, pelvis and lower limbs during patient’s transportation from the place of injury to the hospital. Vacuum mattress is designed to assist skilled and unskilled personnel, in mutual aid, first aid, first medical aid. In ambulances and emergency care services; in disaster medicine; in formations of MES and Civil Defence, in units of the Interior Ministry and Defense Ministry; on industrial and mining enterprises; at public organizations; at sports associations and sports centres; at various transport companies; in police cars. 3. Technical data and product characteristics. 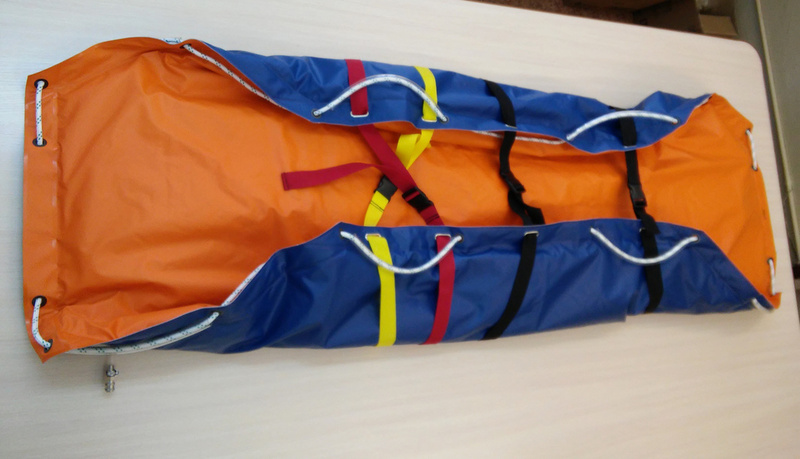 Vacuum mattress can be operated and stored at ambient air temperature from -20°C to +50°C. Weight of the vacuum mattress MIV-2 works out not more than 7 kg. Mattresses MIV-2 load-carrying ability is no more than 200 kg, and of the mattress MIV-3 is not more than 150 kg (for children) . After each use, the surface of the vacuum mattress shall be suitably sanitized. When pollution of the mattress is visible and heavy, it schould be washed under running water. Mattress is disinfected with 4% hydrogen peroxide solution with the addition of 0.5 % detergent such as “Lotus”. After exposure the disinfectant solution schould be washed from the surface of the mattress and the mattress schould be dried. Mattress product warranty period is 12 months.